To be able to change your account password, you must know your existing password. Changing your password regularly can help keep your account more secure. Follow the steps given below to change your password using change password option which will be available under preferences setting. Log in to your account and direct your way to your business name. 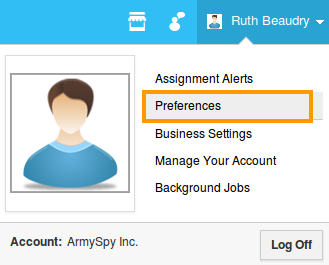 Click on “Preferences” from the listed options. Click on "Change Password" from left navigation panel. You have now changed your account password successfully.